Aug 5 • Finance • 894 Views • Comments Off on What’s The Difference Between Retail and Corporate Banking? At its most basic level, the difference between retail and corporate banking centers on the customers that are served by a particular segment of the average bank’s infrastructure. For example, the retail arm of the bank will deal exclusively with individual customers. It is for this reason that retail banking is alternately known as either consumer or personal banking. So when you go into your bank to deposit a check, make a withdrawal or transfer, or perform other personal transactions, you are participating in retail banking. Corporate banking, as you may have guessed, is primarily concerned with the banking interests of business clientele, hence its alternate title, business banking. However, your personal and business interests are bound to have very different needs, and as a result, these two arms of the average banking institution end up offering diverse services. Here’s what you can expect from each. You are probably already familiar with many of the services offered by retail bank branches if you have had a personal checking and savings account for any length of time. You can walk into your local branch to make deposits directly, withdraw funds, or transfer money from one account to another, although these days it’s more common for people to use bank cards rather than checks and cash. In addition, many retail banks now offer options like direct deposit and online banking services that allow you to perform many transactions without ever having to go to the bank in person. In addition, you may go to the bank in order to set up CDs, take out credit cards or lines of credit, apply for automobile or home mortgage loans (or refinance loans you currently hold), and in some cases you can even exchange currency. Some retail banks also offer members access to stock brokers and specialists in wealth management, but this depends entirely on your bank. 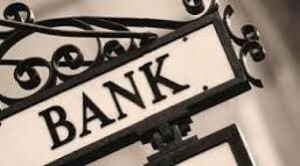 Corporate banking also offers options like business checking accounts and credit cards, but more often they provide capital by way of loans for businesses large and small. In fact, loans and other types of credit account for the majority of business done by corporate banks, and businesses may take out loans for anything from real estate and equipment to supplies and other costs of day-to-day operations (overhead like a lease, utilities, payroll, and so on). They also help companies to manage their corporate capital (i.e. money in the bank), they offer commercial real estate services, they handle issues like debt collection and factoring, and they can even manage your payroll. In short, any financial services your business requires could be handled by your corporate bank, supposing you don’t have your own accounts payable department to see to them. Also under the umbrella of corporate banking is investment banking, but this is generally considered a separate arm of banking operations thanks to the Glass-Steagall Act (also known as the Banking Act of 1933), which legally divided the two types of banking. Although it was repealed in 1999, many banks still treat these two areas of banking as separate entities. In any case, you can see that there are actually major differences between retail and corporate banking. So when you start a business and opt to open business accounts, you should expect different services than what you enjoy in relation to your personal accounts. And don’t forget to comparison shop. Just because you love your personal banking institution doesn’t mean they are the best option for your business. You wouldn’t go into buying guaranteed investments certificates without checking for the best rates at a website likewww.ratesupermarket.ca/gic_rates/ and you shouldn’t select a corporate bank without first understanding what various institutions can offer.